Chocolate eggs for you and the kids to enjoy! April is officially our favourite month, not only are we gifted with the return of Game of Thrones and two bank holidays, but it’s the one time where it’s totally acceptable to eat your body weight in chocolate. Let’s not forget about the kids though, because we certainly aren’t sharing! Check out our pick of the best eggs for you and the kids to tuck into this Easter. We get the best of both worlds with this delectable offering from Divine as it combines two of our favourite things, sweet and salty. 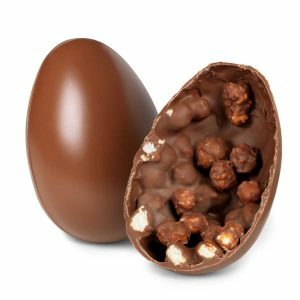 Of course, it’s the inside that counts and this egg certainly doesn’t disappoint as its wall is encrusted with salted caramel popcorn from award-winning popcorn brand Joe & Seph. Not only does it taste good, but it has been made from certified fair-trade chocolate and is packaged in recyclable foil, making it an ethical and sustainable choice. 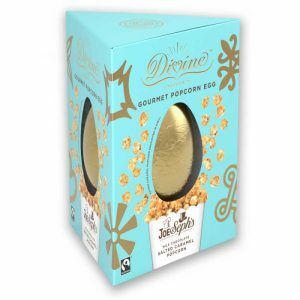 As if that wasn’t enough, the egg also contains not one, but two extra snack-sized Joe & Seph’s salted caramel popcorn sachets – mmm! Teens will love getting stuck into this one. Other yummy flavours include Dark Chocolate, Hazelnut Truffle and Dark Pink Himalayan Salt. 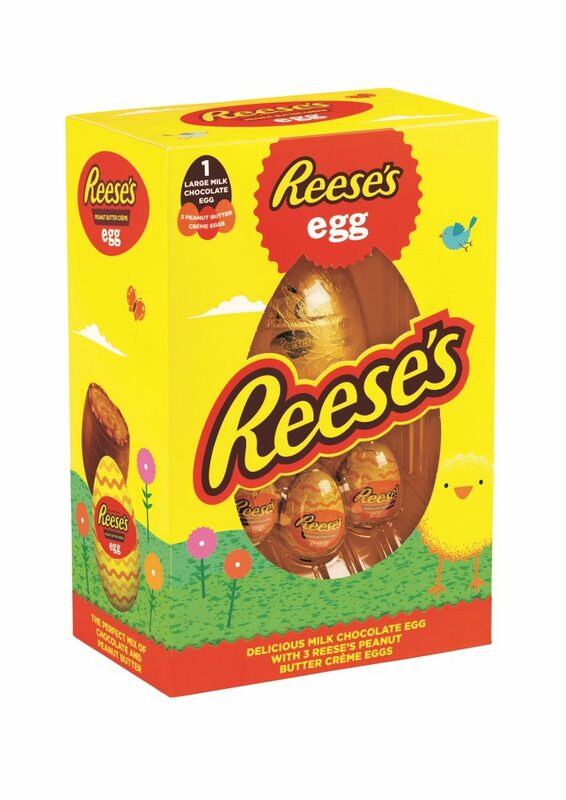 This year, Reese’s has launched a new and might we add, eggceptional Easter egg that will win over the hearts of peanut butter lovers everywhere! Exclusive to Tesco, this large hollow egg is made with delicious creamy milk chocolate and comes with an additional three Reese’s Peanut Butter Crème Eggs. All of which are made with a chocolate shell and filled with a mouth-watering Reese’s peanut butter crème filling – just take our money now. Vegans don’t have to miss out on the Easter fun this year with these silky smooth milk chocolate truffle eggs from Rhythm 108. 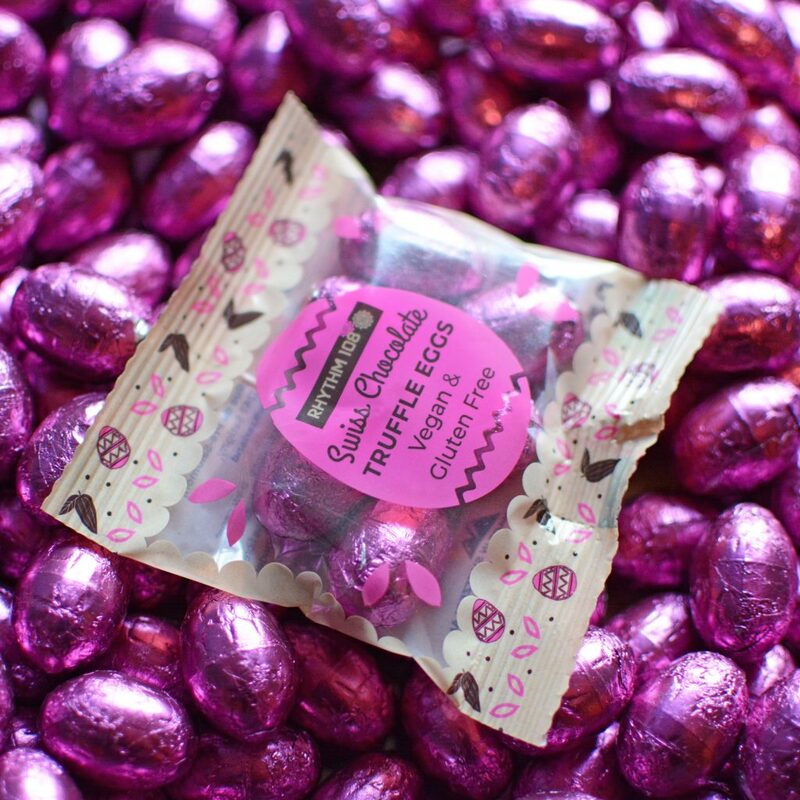 Coming in bags of six, these bite-sized treats are truly addictive and are the perfect size to be included in your Easter egg hunt! As an added bonus, they are made from all-natural and organic ingredients including raw cane sugar, cocoa butter, sunflower oil, agave fibre and hazelnuts. Birmingham based chocolatiers, Cadbury always pull out the stops on the Easter egg front. A unique Easter egg made with smooth milk chocolate and honeycomb granules, the Cadbury Dairy Milk Crunchie Ultimate Easter egg is just one of the latest additions to join Cadbury’s Ultimate Easter range. 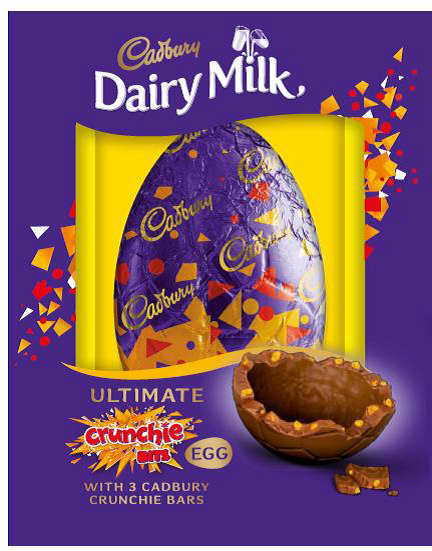 Each thick shelled egg comes with three Cadbury Crunchie bars – just the naughtiness Easter warrants! 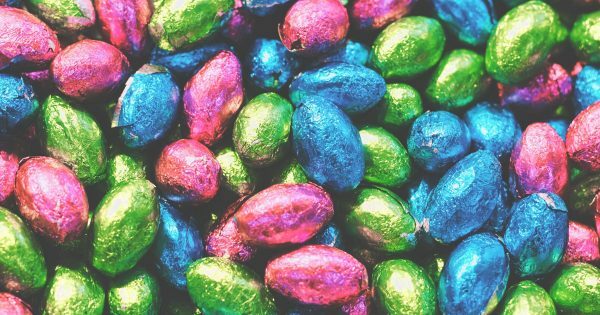 We are always taken back by the huge selection of Easter eggs on the shelves and find ourselves stuck in a rut as to which one we should buy for the kids. 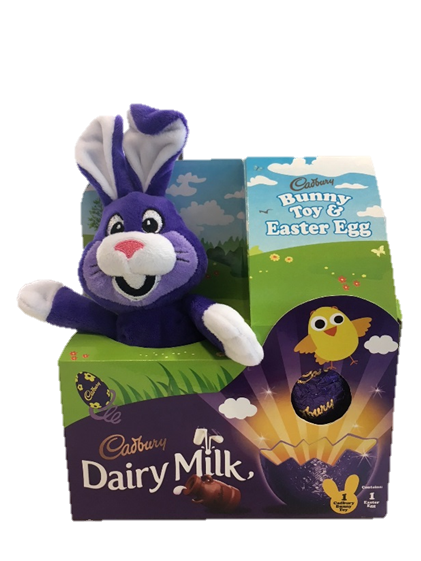 That was until we discovered Cadbury’s Bunny Toy and Easter Egg… This small and smooth shelled egg comes with a purple bunny plush that will keep little one’s company long after the egg has gone! What Easter eggs will you buying this year? Let us know over on Facebook and Twitter @UKMums.TV.